When you grow up in Utah, the name Bennion in ubiquitous. You probably have met a Bennion somewhere in school or at work or at church. The name Bennion to me brings to mind the Bennion Center at the Union building on the University of Utah campus. But while the name became familiar, I never knew the significance of the namesake. Here I am a young buck coming into the system, and the circulation is, “Let’s excommunicate the Sterling McMurrins of the Church, and weed out the liberals.” That got thrown around a lot. Even poor Lowell Bennion got thrown into some of that. If it hadn’t been for President McKay, we’d have had a fiasco on Lowell Bennion. There’s one of the sweetest, great Christians of the world. I would be totally surprised if all of heaven isn’t a Lowell Bennion philosophy. There isn’t a kinder, more gentle Christian in the world. And yet there were those in the system who tried to weed him out, because he kept the President McKay kind of vision open…. Even without knowing very much about Lowell Bennion, I knew I wanted to find out more. I appreciate the people within Mormonism who don’t get noticed necessarily by the system for the good they do. They may not be apostles or seventies or stake presidents or bishops. But they think deeply, they are committed to their faith, and they bless the lives of others. Perhaps what President Uchtdorf referred to as “helpers” in the Church. Learn to like what doesn’t cost much. Learn to like reading, conversation, music. Learn to like plain food, plain service, plain cooking. 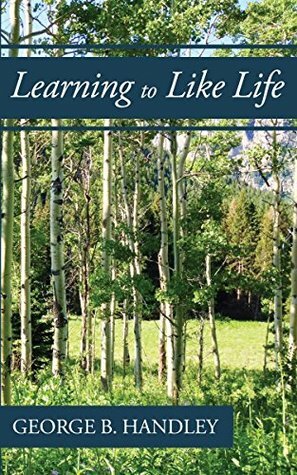 Learn to like fields, trees, brooks, hiking, rowing, climbing hills. Learn to like people, even though some of them may be different… different from you. Learn to like to work and enjoy the satisfaction of doing your job as well as it can be done. Learn to like the song of birds, the companionship of dogs. Learn to like gardening, puttering around the house, and fixing things. Learn to like the sunrise and sunset, the beating of rain on the roof and windows, and the gentle fall of snow on a winter day. Learn to keep your wants simple and refuse to be controlled by the likes and dislikes of others. I know Doc used to say that as he grew closer to death, he was less interested in heaven and salvation and more interested in simply continuing the work he had already begun. I might have winced hearing him say this, because at that point in my life heaven was just beginning to become a real desire of my heart. I wanted to hear him say that yes, indeed, heaven was worth pursuing because of how different and how much better it would be than here. But I now see that Doc didn’t mean anything heretical by this. Quite the opposite, because he understood that heaven’s use to us is to get our heads up from the trough of life long enough to see that earth work is what we should most desire. The most important things are the ordinary ones. And Mormonism, at its roots, is this. But we sometimes like to over-complicate things, I think. I remember a small crisis of faith on my mission instigated by an encounter with difference that was previously inconceivable to me. It happened the very first week. I was converted to the gospel. I was eager to teach, but I was terrified by the strange feeling of the streets of Venezuela, by the language I couldn’t yet penetrate, and by the sights and smells and shape of the place. On our first day, we were let into an elderly and poor woman’s home. She was not particularly excited by our presence, that much I could tell, but my companion was eager to show me how a discussion worked. As my companion projected a slide of the First Vision on the wall in her home, a small lizard walked across the image of the Joseph Smith kneeling in the sacred grove. Suddenly I thought to myself: “What am I doing here? Why am I so far from home? Can the story of the gospel really extend this far in its relevance? This woman doesn’t even care about this.” I was becoming aware of my cultural bias, my narrow world that I had been raised in, but instead of doubting the adequacy of my worldview, I instead doubted God. I wrestled with this feeling for several days, eventually coming to understand how irrational my doubt was. Did I really think that God was unaware of the world I had entered? That he didn’t know and love each person I met as much as he did me? Why was I so willing to shrink His vision when it was mine that needed to expand? God is our father and his love extends to all. So he apparently loves an enormous number of people who know absolutely nothing about the restored gospel, let alone about my middle class American life. Most of them don’t speak English. The vast majority of them are not white. It’s a safe bet that 50 percent are women. Many are very old. Many are so young they don’t yet know how to speak. Over a billion of them don’t have access to clean drinking water and live in extreme poverty. And most have suffered far more than I will ever know. I needed to get over myself. Like Handley, it took me twenty years to even fathom a world outside of my immediate and very Mormon world. People are OK without being Mormon. Mormon than OK, they are good, glorious beings just as they are and they are making the world a better place. I remember a few experiences on my mission similar to Handley’s where this initially uncomfortable sentiment started to get through. I remember teaching one man who insisted the sacrament wasn’t meant to be institutionalized, but it’s value came in its simplicity. It should be a shared meal of bread and wine among friends, to live Christ’s word that “where two or three are gathered in my name, there will I be also.” I remember wanting to agree with him, but my Preach My Gospel answer had to dismiss it as out of hand, and I gave the well-known analogy of a policeman: “if you got pulled over by a random person, would you accept the ticket? No, because only policeman have the authority to do so.” If that man is sharing the sacrament among friends, I feel that he may be getting more out of his sacrament than we as Mormons sometimes do on Sundays. And I’m glad he’s drawing closer to Christ. A great read, and I’m glad Handley is reviving the legacy of Lowell Bennion. I hope I can find a good biography of him soon too.